UAW Back in Force at VW in Chattanooga – Told You So! 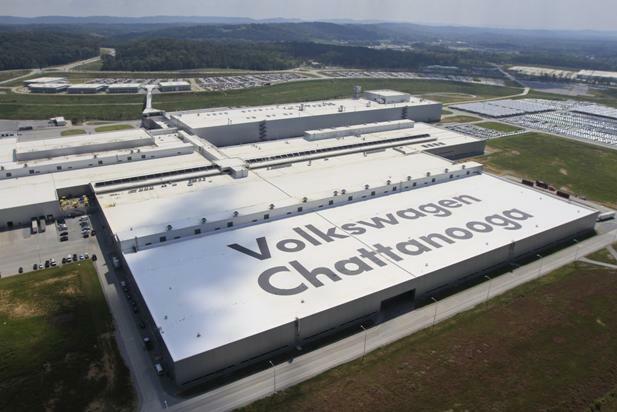 In an unorthodox move, the United Automobile Workers announced …that it was forming a union local in Chattanooga, Tenn., to represent workers at the Volkswagen plant there even though a majority of the plant’s workers voted in February against joining the union. U.A.W. officials said the new local — which will have voluntary membership and not be recognized by the automaker — would serve as a collective voice for its members and would also facilitate Volkswagen’s efforts to form a German-style works council made up of workers and management. Here’s the Chief Organizer looking at the UAW’s options and explaining why I believed that the union’s withdrawal of their objections in April after losing the election in February meant that they were hunkering down for the long haul to go big and win this thing. The other choice, which is bolder organizing, is to immediately get the clock ticking for a second election, and this is clearly what the UAW is doing, signally in truth that they are committed to the campaign and in fact that they like their chances inside the plant and, perhaps as importantly, with Volkswagen. You can bet that UAW organizers have done extensive work in the last three months to reassess their “yes” votes and gauge the hardness of the “no” votes and whether they can turn them if they can offset the onset of fear and panic before the last vote count. You can also bet that UAW leaders have had extensive discussions with Volkswagen union leaders in Germany, who have board seats in the company, about how a second election would work and how the company would react. The signs have obviously been encouraging on both counts. The issue is not starting a local with or without collecting dues now but the fact that the union is saying they want to “…serve as a collective voice for its members and would also facilitate Volkswagen’s efforts to form a German-style works council made up of workers and management.” Like I said, there’s little question that Bob King, the president of the UAW then, and Dennis Williams, the president now, have had some serious discussions with the company and know they have a place at the table, no questions asked. The local business community needs to start learning to adapt to modern life and the 21st Century and come to grips with the fact that expansion on the line with another 1000 workers and continuing economic injections from Germany just aren’t going to happen without labor peace in Chattanooga. They’re all still in it to win it, and as I said before and I’ll keep saying again, this is exciting for the labor movement in the South and everywhere else. Please enjoy Beck’s Heart is a Drum, thanks to Kabf.org. This entry was posted in Citizen Wealth, Financial Justice, Labor Organizing, Organizing and tagged Chattanooga Volkswagen Plant, UAW by Wade. Bookmark the permalink.